Enlightening (Residential Lighting Blog): We Have A Winner! Dominion Electric Supply had a winner in Hinkley Lighting's Home Makeover contest! Our customer, June Shea, won a second prize $250 gift certificate! 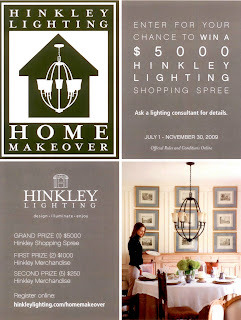 What fun it will be to help her spend it on beautiful Hinkley Lighting products.